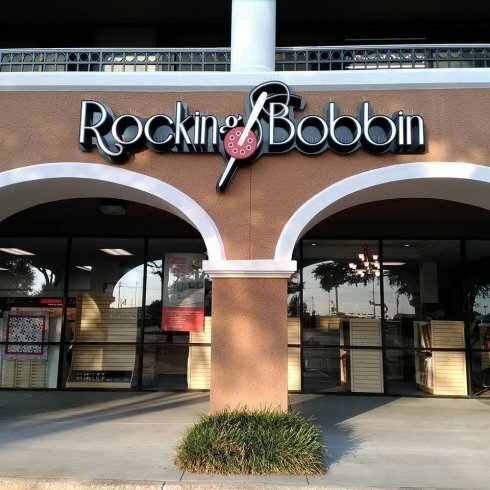 Rocking Bobbin Quilt Shop is dedicated to providing the Dallas, Texas community with a wide range of fabrics, BERNINA sewing machines, quilting supplies, and notions so they can create fantastic quilts that will be treasured for years to come. Owner, Staci Rittenhouse, is fascinated by the almost endless variety of stunning quilt patterns that are available in this modern age, and she thoroughly enjoys the creative process from start to finish. 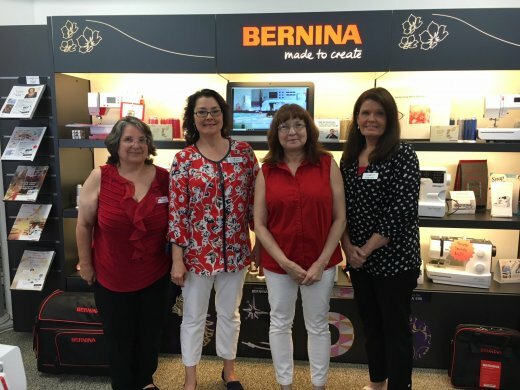 She also loves teaching customers how to use their BERNINA sewing machines so they can create stunning projects using state-of-the-art sewing and embroidery technology. We have a Certified Technician to clean and service your sewing machine in our shop, no matter what the brand. Staci and the fun, energetic staff members at Rocking Bobbin strive to maintain a welcoming and supportive environment where sewing, embroidery and quilting enthusiasts of all styles and skill levels can gather to learn, share ideas, inspire one another, and enjoy the camaraderie of fellow stitchers!